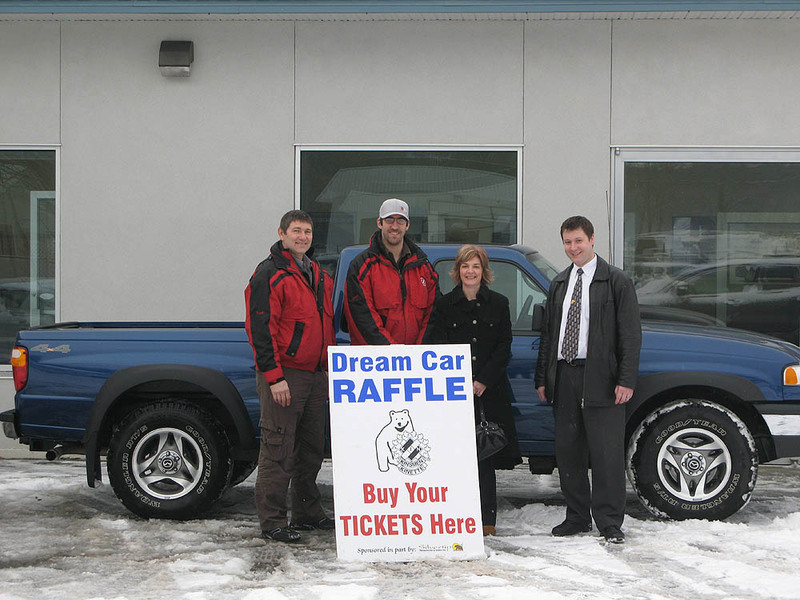 Carolyn Genaille of Terrace is the lucky winner of the Kinsmen Club of Terrace Driver's Choice Dream Car Raffle. The Kinsmen want to thank all of you out there that supported our draw. We sold nearly 2900 out of the 3000 tickets printed. It's support like that that makes us keep doing these draws. Also, this raffle wouldn't be the success it is without the enormous support from The Mix CJFW and CFTK TV. They came to the party and helped in many ways and we thank them. Thanks also to Canadian Tire, Wal-Mart and the Skeena Mall for giving us places to sell, Terrace Husky and Tempo Gas Bar for selling for us, and last but not least, big thanks to Terrace Honda, Terrace Totem Ford, MacCarthy GM, Thornhill Motors, Terrace Chrysler and Terrace Toyota. Thank you all and we'll see you in the spring for our 22nd Annual Riverboat Raffle!